Could you go through a day without accessing a single mobile app? Could you go through a day without bothering about numbers - the number of likes, comments, followers, views, friends? Could you go through a day without an online endorsement of your love life or funny takes on the lack of it? 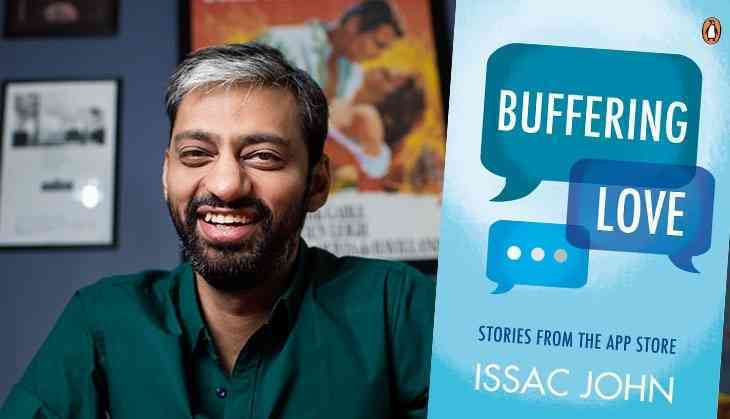 First-time author Issac John's “Buffering Love: Stories from the App Store” is telling of how we keep escaping to the app store, and how there is no escaping the app store, once hooked. With a near-thorough dissection of human vs app store behaviour, the stories are written with wit, the tone almost gregarious, and are likely to make anyone - addicted to Twitter or Tinder - feel naked. The 15 stories unfold on various mobile apps in urban India. The protagonists, mostly millennials, aching to swipe right for love, money, fame and everything in between. John's first story, and arguably the best, “Launched”, is about such a “transactional” relationship. A hot-shot woman who can kickstart the career of a fast-greying man struggling with a start-up. One innocuous message on WhatsApp - “Hey, had a terrible week. Need to get away...?” - leads to another, and the start-up takes off. John successfully brings out the quirkiness of app store relationships. Irrespective of the app that is downloaded – to make friends, to flirt, to meet like-minded professionals or to play a quiz – the end result could be a heady love story, a fat pocket, or a royal dupe, never mind that quiz you had in mind. The real page-turner is Debbie's story, a trained theatre artist trying to seek a career in writing at “Yours Virally”. She is waiting to be interviewed, to kill time and anxiety, she swipes right at what she thinks is the ultimate match – a Greek god, who like her, is a fan of Margaret Atwood, Arsenal and Calvin. John loves the twist in his stories and builds them up well. Most stories end in an anti-climax or on an ambiguous note. Perhaps this is indicative of how app stories translate into real life. Some stories do not make an impact, Like the one about a honeymooning couple who land in trouble after booking their rooms through a travel app. The story about an ex-diva from tinsel town is well-meaning, articulating the angst of a single woman trying to live life on her terms, but is unlikely to stay with readers. Similarly, “Shop Now” is a bit far-fetched and perpetuates done-to-death stereotypes. Studies indicate that moderate time spent on social media, about 20 minutes, can make users happy. Overspending, more than 40, is likely to have a reverse effect. John's stories are proof that there is no stopping us now even if prolonged use only makes us more angry, anxious, envious and even depressed. LH: Is there a disconnect between our offline and online personalities? IJ: I would say so. While the inherent self doesn't change in our online personality, we tend to either exaggerate or deny our natural beliefs and values online. In fact, it's one of the central themes that 'Buffering Love' works with, that what you make of a person on an app could be diametrically opposite of what he/she is in real life. LH: Till a decade or so ago it was believed that people with low self-esteem, who weren't good-looking or confident, for instance, hid behind chat room windows. Now all of us are guilty of living this life - irrespective of our self-worth. Why is that so? IJ: I am not sure if it’s entirely true. There might have been a section of people with ill-intentions, but most weren’t. To me, the online universe represents a parallel society where like in the real world there are miscreants and there are perfectly normal people who want to live and let live and that latter is the majority, not the minority. In fact, today our online presence is as much a determinant of our self-worth and identity, as an Aadhaar card if you will. LH: What is the future of love - shall we say - offline love? IJ: Offline love would continue to thrive even more thanks to the relative ease of access that the online universe facilitates. And it doesn't even have to be a dating app for this to happen. Online love lets you chase an ideal you have built for yourself far more easily than in the offline world. It is in the online world where you truly get to choose who you want to have a connection or a conversation with. The concept of relative grading applies since you are instantly stacked against others. It also makes you open to explore more, give being in love a chance more often than otherwise. My other perspective on this is that while the dating apps are meant to be where ‘online love’ flourishes, there are other platforms too where you can build a connection with a stranger. LH: To what extent has this consumerist culture burnt us? What is it we really want with such urgency – love, lust, acceptance? Or happy distractions to kill boredom? IJ: It's different things for different people. There's definitely an element of transaction in all of these. I never felt that it could be only one thing. If it had to be bucketed under one umbrella though, I would say it's an innate desire to be liked by other people. It's humankind’s age-old latent need but now one has multiple platforms that one can seek to fuel and fulfil it with. Bats for the four-legged, can't stand most on two. Forced to venture into the world of homo sapiens to manage uninterrupted companionship of 16 cats, 2 dogs and counting... Can read books and paint pots and pay bills by being journalist.